Our Professional Grade Carpet Spotter Is Free! As long you’re a carpet cleaning customer with each cleaning we’ll give the best carpet spotter ever. 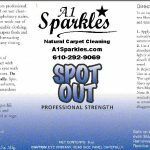 Our Free Carpet Spotter removes the most stubborn stains from carpet, rugs, upholstery, and clothing. Once you use this miracle stain product, you’ll never need another carpet spotter again. 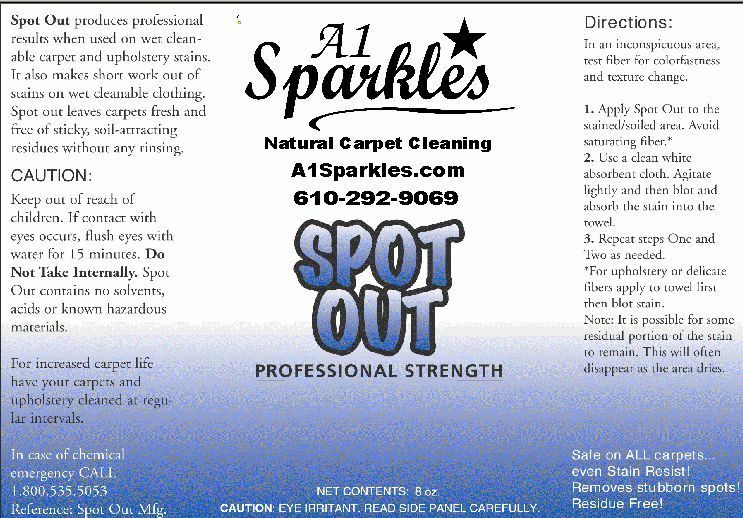 This Carpet Spotter lifts spots and stains with little effort. With its unique synergistic action it is not only effective but it is also non-toxic, odorless, colorless, non-flammable, biodegradable, resists re-soiling and fast drying. Meets warranty requirements of the leading carpet manufacturers. Food Stains, beer, soft drinks, wine, milk, juice, tea, coffee, grease, oil, make up, grime, marker, grass, soot, crayon, vomit, and hundreds more! Burns, Bleach spots, Indelible Ink, Blood, Dyes, Stains Set In By Heat, Nail Polish, Gum, Pet Odors, Builder Grade Carpet, and if your carpet is over 7 years old and or has not been professionally maintained.